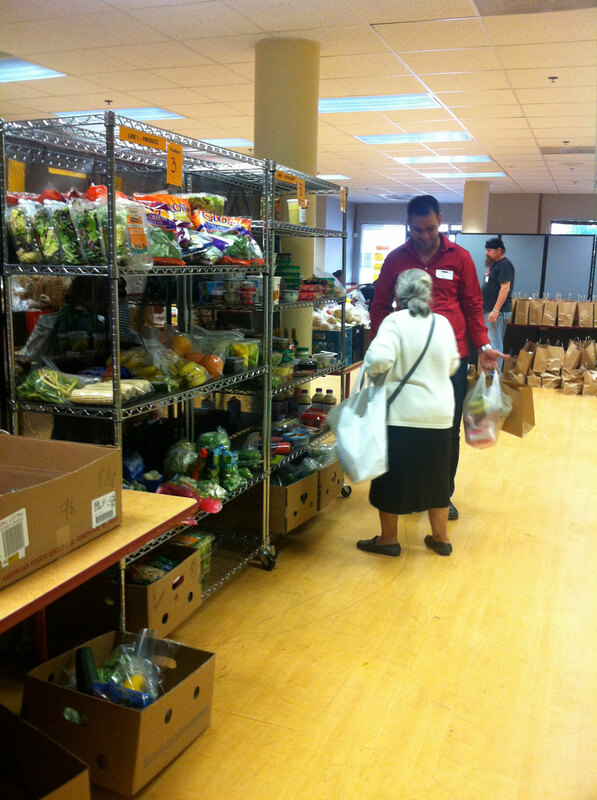 We distribute bagged groceries to families in need. We opened in January 2005 serving 3-5 families a week. 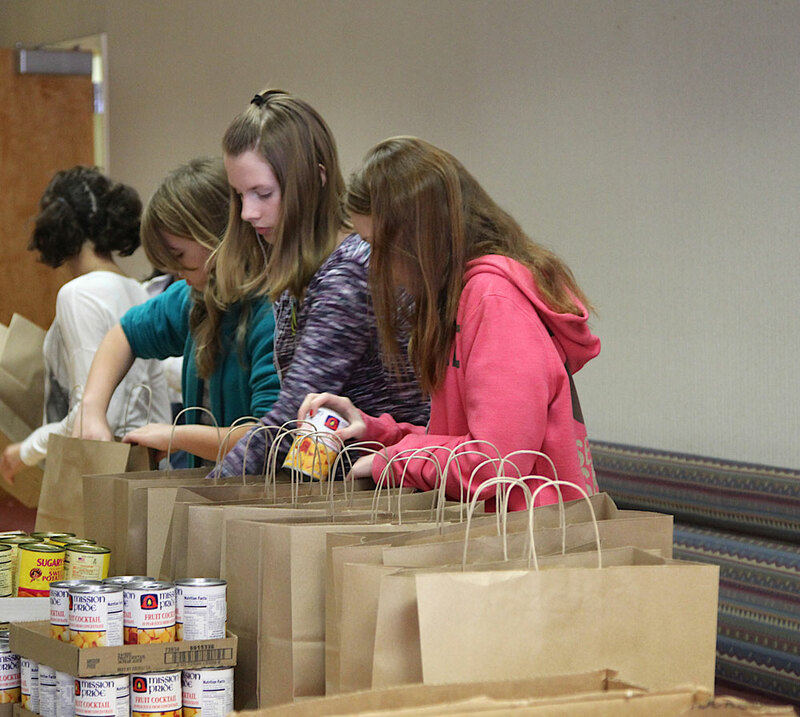 Our ministry has grown and we now serve 200-250 families each week. 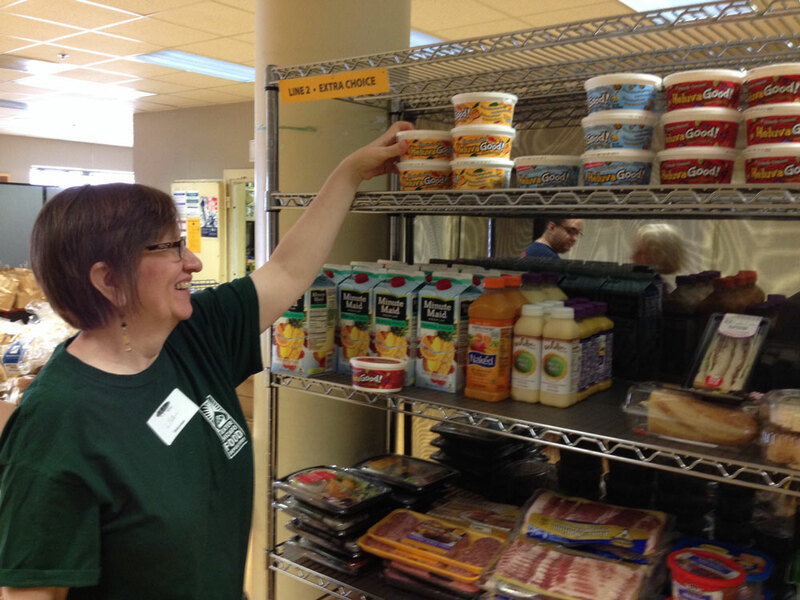 The Food Pantry serves anyone who needs to make ends meet. Stock room work such as bagging, sorting, organizing, etc. Donations can be dropped off at the church anytime. Please drop off items in the bin by the front entrance of the church (please, no warehouse-size items or junk food). • Volunteers must sign up by noon on Monday for each week. You can see the weekly schedule here. • Volunteers must be 12 years of age or older. • Volunteers are asked to arrive promptly as scheduled. • Patrons are welcome to come twice a month per household/same address. • Patrons are allowed one visit per household per date. • Patrons must sign-in at each visit to receive food. 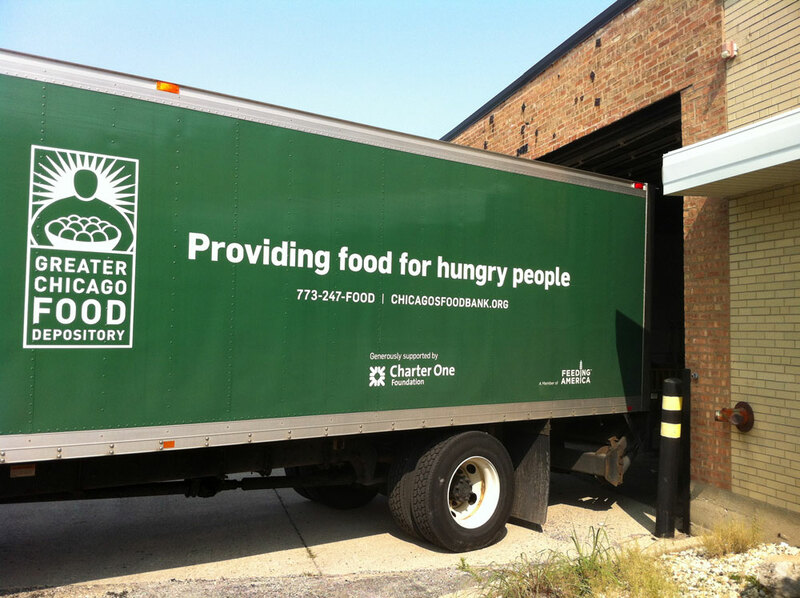 • Patrons can expect to receive pre-bagged nonperishable staple items as well as selecting some other items (such items may include meat, produce, bread and dairy). • Registration/distribution starts promptly at 6:00pm. The earliest doors will open prior to registration/distribution starting is 5:45pm. • Doors close promptly at 8:00pm. Anyone already inside the building who has not been served yet at 8:00pm will be served but no one is let in once entrance door is locked at 8:00pm. • When our doors open and patrons file in, a random number will be selected from a basket. This means there is no need to come early and wait, and no standing in line for hours prior to opening. Doors will not be open prior to 5:45pm. • If you are first in the door it does NOT guarantee you will be the first to be served. We would love to invite you to a Sunday morning service. All are welcome, and you can come as you are. Please check out our different locations and times. We also have lots of different groups you can get involved with. Please look at our small group calendar and see what fits the best for you. Questions? Please fill out the form below.